LotPro.com is owned and operated by MH Sub I, LLC dba Auto Credit Express. The company has deep roots in the retail automotive community. The owners and employees of ACE have been helping consumers and auto dealers expedite the car buying process since 1992. Our partnerships with the most trustworthy and high-volume dealers across the country enable us to provide fast, accurate price quotes for brand new or used cars. We strive to "get it right the first time." Time is precious and we value yours. 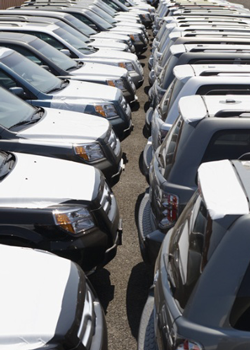 In February of 2003, ACE purchased Alternative Resources and Training, creators of the "Inventory Manager," a software program used by auto dealers to manage their new and used vehicle inventory. Prior to its national release, the software was renamed LotPro®. Today the software is used by hundreds of dealers throughout the USA. As an extension of the software, this website was established to give consumers an elevated level of website form and functionality. It is our goal to provide consumers with accurate data and a highly functional, yet fast browsing experience. To accomplish this, we have assembled a team of the nation's top internet developers and automotive consultants.